Oak Tree Cottage01263 715779work01603 870304fax Self-cateringThis modern property offers spacious accommodation and is kept to a high standard. Guests can roam the six available acres of garden surrounding the property and explore the selection of walks and cycle routes that are dotted amongst the local countryside. England's first Whiskey Distillery is also nearby. Open plan light spacious kitchen with appliances. 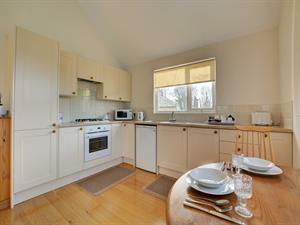 Oak Tree Cottage offers weekly bookings starting on Saturday. Oak Tree Cottag offers weekly bookings starting on Saturday. This modern property offers spacious accommodation and is kept to a high standard. Guests can roam the six available acres of garden surrounding the property and explore the selection of walks and cycle routes that are dotted amongst the local countryside. England's first Whiskey Distillery is also nearby.